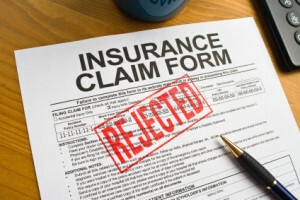 Your insurance company should not refuse to pay a valid, properly documented claim. Call Carr & Carr Attorneys if you are not being treated fairly. Your insurance company is not supposed to refuse to pay a valid and properly documented claim. If your company refuses to pay your claim, you have options available to you to protect your family and home. What can I do when my insurance company refuses to pay my claim? monetary damages for the wrongs you have suffered as a result of the insurance company’s wrongful refusal to pay. In some cases, an insurance company will fail to pay on a claim without conducting any type of investigation into the claim; they simply refuse. In other cases, they may dispute the validity of the claim by arguing that the damage was caused by factors that are not covered by the terms of the policy. For example, the insurance company may claim that even though the walls of your home have structural damage, the problem was not caused by a tornado such as the ones in Moore, Oklahoma. Also, roof damage and repairs after the Moore and El Reno tornados have been a problem for some local homeowners. Whatever the circumstances of your situation, if you believe that you have been unfairly denied the coverage for which you have been paying, contact an Oklahoma City insurance bad faith attorney to learn whether you have grounds to sue. Call 405-491-4272 today to see what options you have and whether we can help your family during this difficult time.